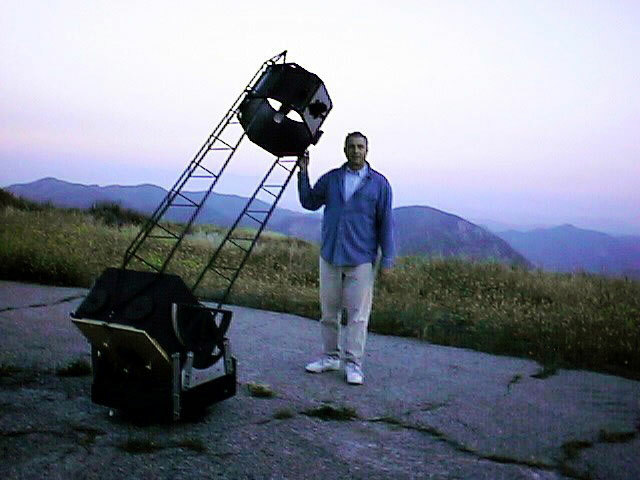 Private astronomy instruction by astronomer, author, and TV personality John Mosley. Here are photographic highlights of John's life as an astronomer. John got his first telescope when he was 9 years old and he's been observing the sky ever since. 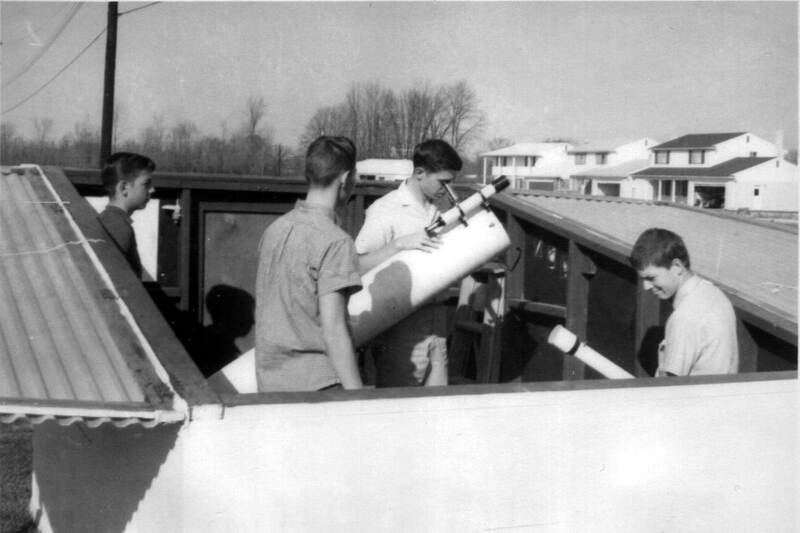 While in the 9th grade he built a backyard observatory with a fold-off hinged roof to house his 8-inch reflecting telescope, and he observed the sky passionately through high school. He did his first newspaper interview then -- for an upcoming solar eclipse. 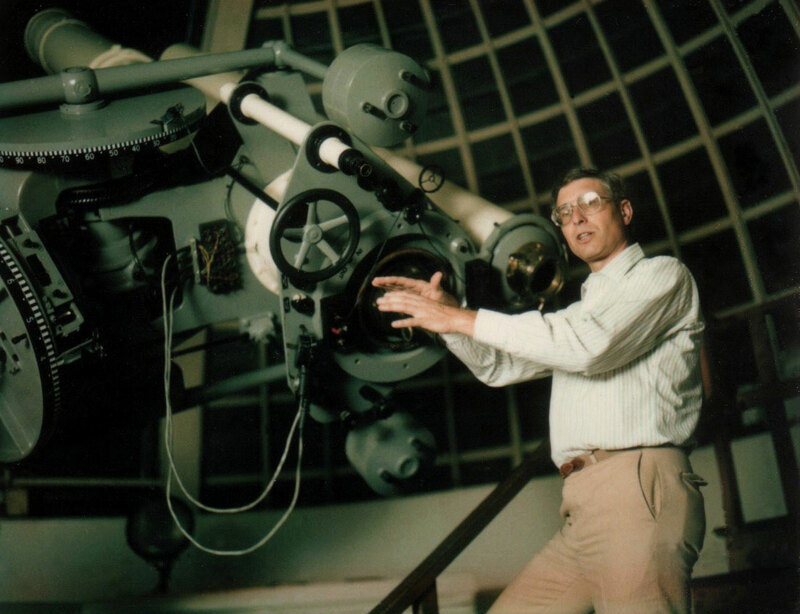 As a college student, John used the University of Michigan's historic 10-inch Fitz Refractor. He was the first undergraduate since WWII to be given a key to the Observatory. For a History of Astronomy class he used this telescope to duplicate observations of double stars as they were made in the late 1800s. Also during his student years, John gave his first public planetarium shows at the University's museum nearby. 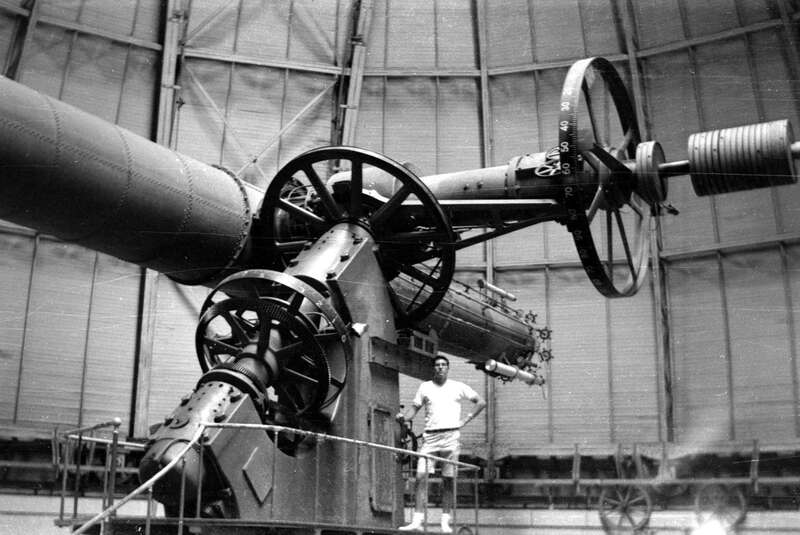 Although the third-largest telescope in the United States when it was completed in 1857 and an important research instrument for decades, this vintage refractor is now used only for public observing and occasional student projects. 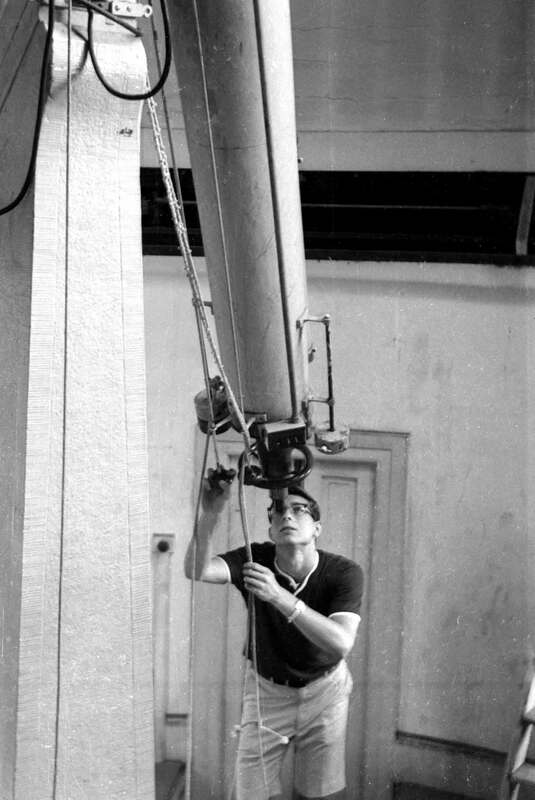 John informally observed through the 40-inch Clark Refractor of the University of Chicago during the summer of 1966 when he was a research assistant at the historic Yerkes Observatory. The telescope was built in 1895 and it remains the largest refracting telescope of all time. John lived in the Observatory -- in a tiny guest room in the attic. This photograph accompanied an interview of John that appeared in New Scientist magazine (London) on October 7, 1989. John had prepared a 10-page press kit on alleged predictions by Nostradamus that became the most-downloaded item on the internet (which was much newer then!). John was then interviewed widely. Downtown Los Angeles is in the background. 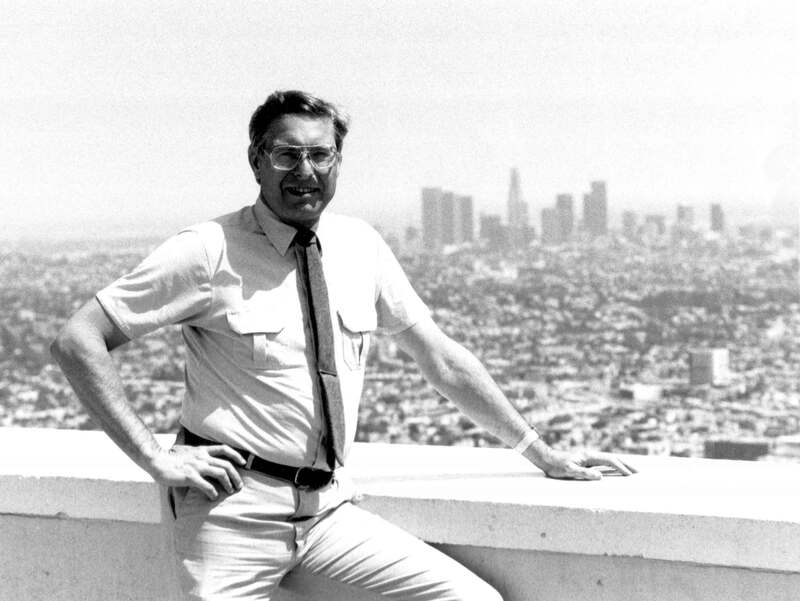 John occasionally used the Zeiss 12-inch refracting telescope in the east dome on the roof of the Griffith Observatory, but its location only 7 miles from downtown Los Angeles was less than ideal for serious sky watching. More often, the telescope was used as a prop for TV interviews, as here. John preferred to observe from the desert with his 20-inch reflecting telescope. 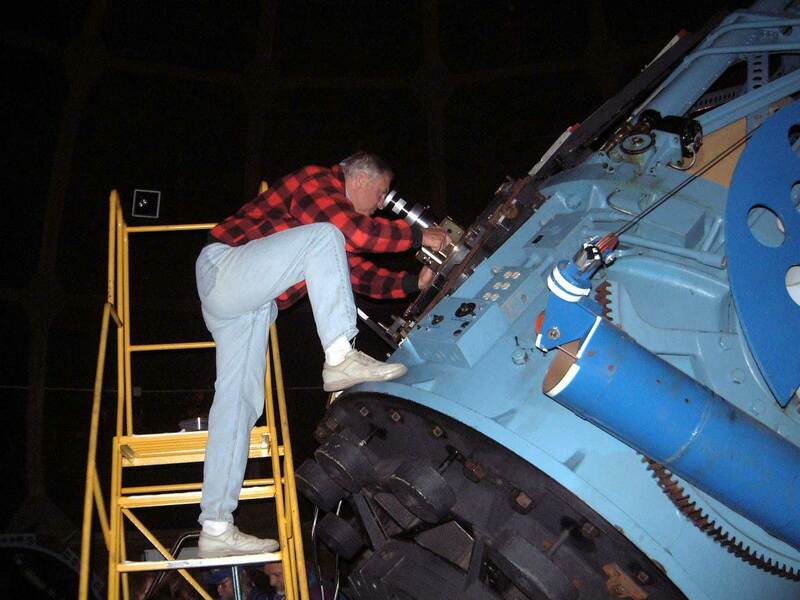 In 2005 he replaced this manually-operated scope with a fully-motorized and computer-controlled 18-inch reflector -- which is wonderful! John lead two expeditions to South America -- one to Brazil and Peru in 1986 to see Halley's Comet at its best, and a second to Peru in 1994 to witness a total solar eclipse. 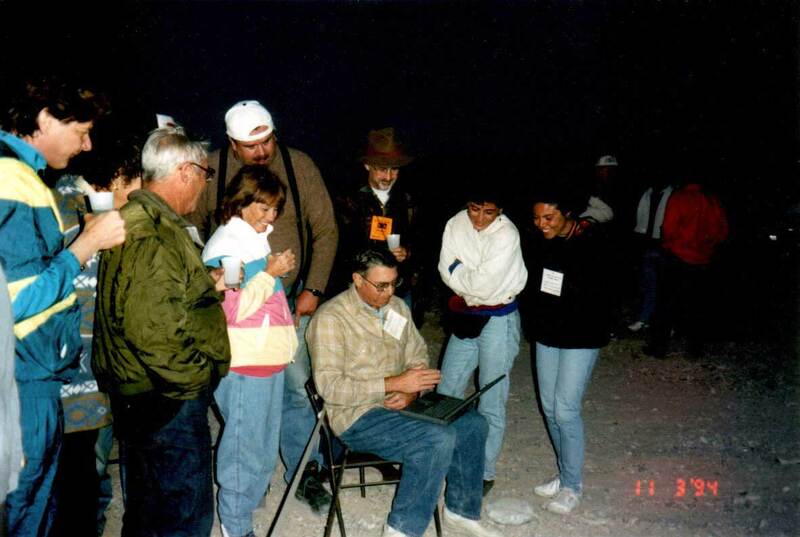 Here, in Peru's Atacama Desert, John uses his 1993 b/w laptop in the predawn hours to show his group what the early-morning eclipse will look like. 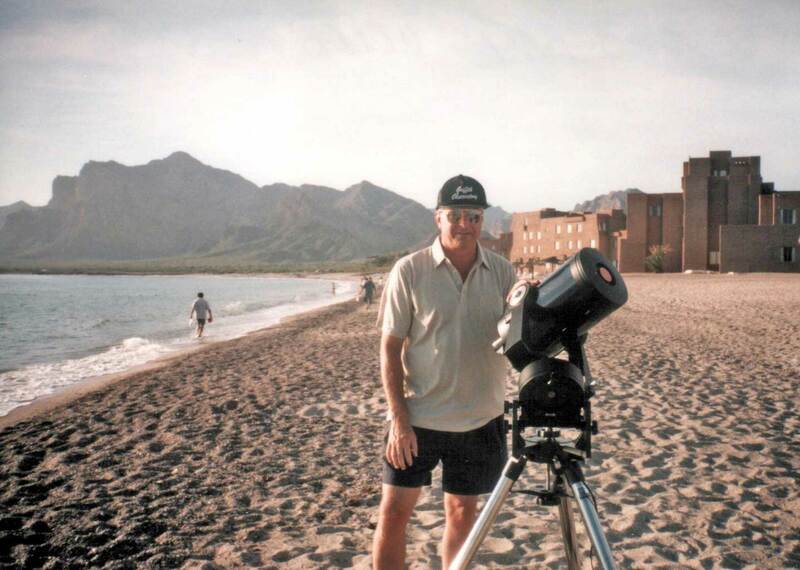 John has conducted nighttime stargazing sessions in a variety of places -- here at Club Med in Sonora Bay, Mexico, in 1996. John's had more than a few working vacations. 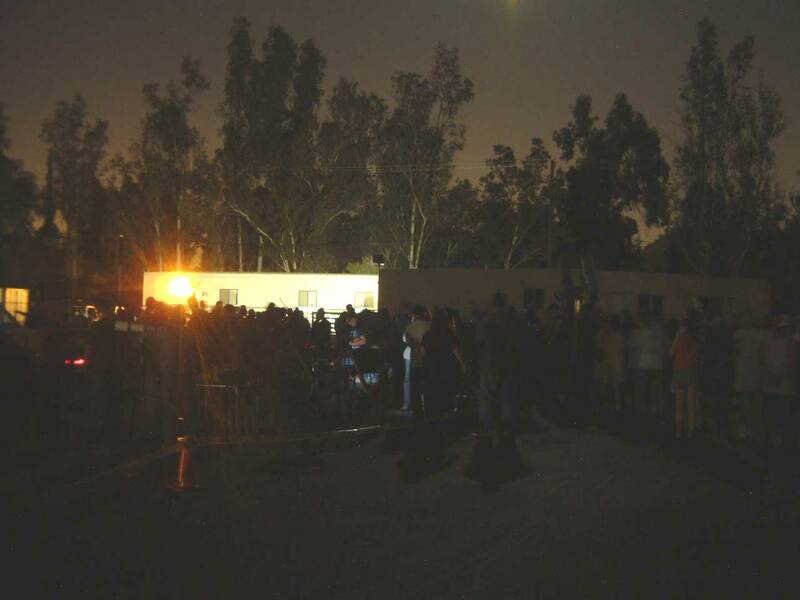 Public star parties don't photograph well, but this is a gathering to observe Mars in 2003. John prepared press releases and supervised public star parties in Los Angeles for 27 years. He's in this photo somewhere, showing Mars through the 10-inch telescope he owned at the time. John took a break from showing Mars to others to get a close-up look at the red planet through the 60-inch reflector atop Mt. Wilson. One hundred years ago this was the largest telescope on earth. In the summer of 2006 John and his wife Barbara said goodby to their desert home and the red cliffs beyond, hooked their Jeep to their brand-new motorhome, and headed off on a life of travel and adventure. Their 8-inch traveling telescope and giant binoculars are ready for use under dark skies.